In January many men went to Bishop Auckland to get attested under Lord Derby’s recruiting scheme. This was a system of registration against the event of need and not of immediate call-up which had been introduced in the previous autumn. In January 1916, a first conscription scheme had been adopted and perhaps there was a rush to attest in order to show “willing” and avoid compulsion. Meanwhile the steady flow of three or four volunteers a month continued. 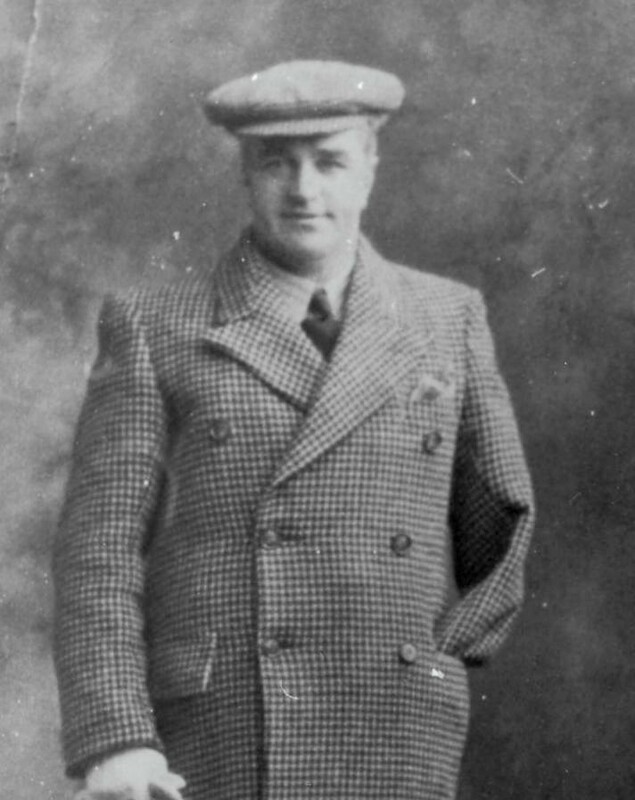 In December 1915, Thomas Gibson joined the navy, Albert Elders the army and Joseph Blenkinsopp the Black Watch. During January, J.G. Metcalfe of the Mill joined the 6th DLI. He was only 16 and lied about his age. William Gray joined the Royal Army Veterinary Corps and Albert Metcalfe, the son of Co-op manager joined the 151st battalion of the Royal Field Artillery. 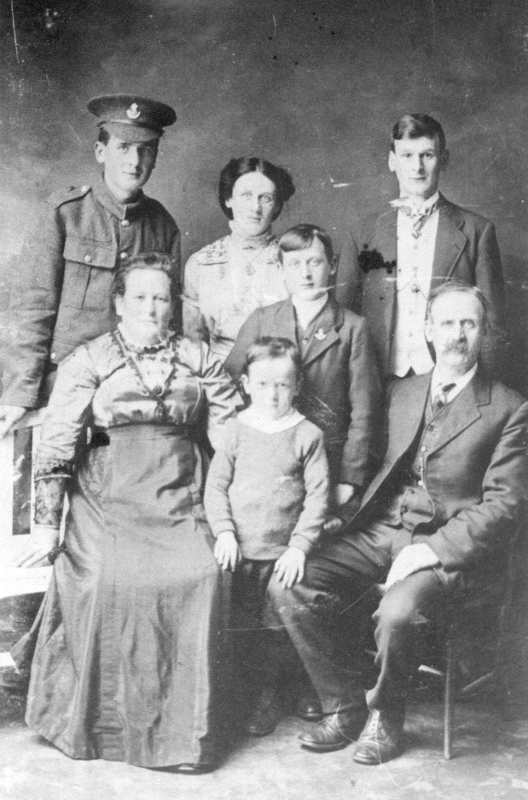 Jasper Lauder who had emigrated to Canada, enlisted into the Canadian Contingent. The labour shortages were now being felt. There were no restrictions on the enlistment of surface workers and they were called up in such large numbers that the situation became critical. The mine owners approached the miners’ leaders to ask if women could replace surface workers who were called up. The Durham miners strongly opposed the employment of female labour in any capacity in the mines. The miners’ leaders suggested making good the shortage with men who had retired at 60 but were still fit. The owners offered a guarantee that if it became necessary to employ female labour, the most up-to-date sanitary arrangements and other provisions would be made for their comfort. It was on the land that women were to become employed in the greatest numbers. In April a meeting was held in Ramshaw County School, addressed by Miss Rockcliffe of the Board of Trade, to stimulate interest among women in war work on the land. Activities concerned with the welfare of soldiers and their families continued to dominate local leisure time. Thus during the year 1915, the Evenwood working party for providing comforts for soldiers and sailors distributed 875 articles apportioned as follows: 500 to local men, 199 to Lady Anne Lambton for the DLI, 104 for Queen Mary’s Guild, 24 to Newcastle Infirmary, 32 to Dr. Campbell, the local physician serving overseas for distribution by him and 36 to Belgians interned in Holland. Numerous letters had been received from local soldiers expressing their high appreciation for the Christmas parcels they received. For their part Randolph Colliery lodge passed a resolution regretting the government’s refusal to pension thousands of discharged soldiers who had contracred diseases since joining up. The vicar continued to report letters he had received. James Edward Taylor had spent Christmas in the trenches in France. Adolphus Morland in the Air Service at Sheerness was now a Second Class Air Motor Mechanic and had been ordered to the Gallipoli Peninsula. However by April, he was in London engaged in the manufacture of aircraft. The former schoolmaster R.M. Layton wrote of the wonderful sights he had seen in the Mediterranean and the curiosities of Alexandria. He wrote next from the Serbian Front where a Bulgarian attack was expected. By June 1916 he had been commissioned in the 9th Gloucesters and was in Salonika. On the night of April 5/6th 1916, Evenwood suffered a Zeppelin raid. From March there was a general apprehension of Zeppelin attack and the strictest lighting precautions were taken. During the raid 3 bombs were dropped and the target was assumed to be the coke ovens which the Germans built. Attendance at the school on April 6th 1916 was much affected as many of the children had spent the greater part of the night in the open air. Only 30 were present in both departments at 9am. The school closed for the day. At Ramshaw the school was actually damaged and had to be closed for repairs. 48 panes of glass had been broken besides other damage. It did not re-open until April 21st with an attendance-rate of only 50%. The school was very cold despite the heating because many windows were unrepaired. On May 3rd the fear of another raid kept many Evenwood children out of bed and so led to a very bad attendance the following day. At Ramshaw on May 5th attendance was much reduced because rumours of another raid the previous midnight made many families sit up all night. Again, on September 25th a raid on the coast caused many children to pass hours in the fields and miss school next day. Miss Bowman of Evenwood tells that people would shelter uncomfortably in Sneckers, a local drift mine. Then, in June 1916, came the news of three simultaneous Evenwood deaths in the one great fleet action of the war, the North Sea naval battle of Jutland, at which at least 5 Evenwood men were present. William Carrick of South View and Andrew Lynas of Chapel Street went down with the torpedo boat Ardent which took on a division of German battleships in the night action. Hopelessly outgunned and having fired all her torpedoes, she had to wait “in the full glare of blinding searchlights for the shells that could not fail to hit.” She sank bows first as her captain later recalled, of her forty or fifty men in the water “not a man…showed any fear of death”. Of the 78 crew only 2 survived. John William Wren of Copeland Row, was on the old armoured cruiser Black Prince which a modern historian says should never have been taken into battle against dreadnoughts. She, like Ardent was caught in the night action which followed the main engagement. She was trapped in the searchlights of the German battleship Thueringen and hit with 15 shells which caused her to blow up with the loss of all on board. She was the last major ship of either side to go down in the battle. Arthur Dunn was also in the battle on HMS Birkenhead. He wrote, reflecting the disbelief that the British Navy should have come off worst. There was also a letter just before the battle from William Purdy of West View who was on HMS Maidstone which was in the main fleet and so played a part only in the pursuit. Not until October 1916 did the news arrive that the body of William Carrick had been recovered off the coast of Norway and had been interred by the Norwegian Government at Farsund. By August, Fred was also at the front. On July 1st 1916, began the Battle of the Somme when the British Army experienced its highest losses ever on a single day. The names of local men at the front and of casualties moved sharply upward in number. Just before the battle, John Henry Raine was killed leaving a widow and 2 children. Then on the first day Fred Gaskin of Toft Hill, a private in the East Yorks, was killed. 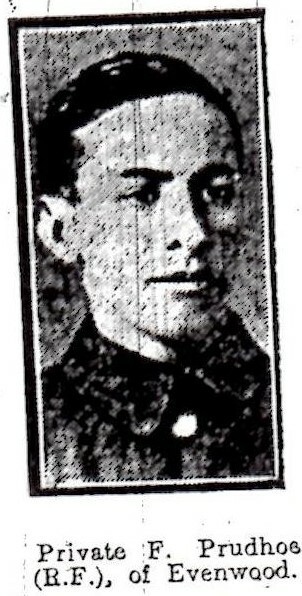 Towards the end of the month, Sidney Rutter of Shirley Terrace was reported wounded. Alfred Adams of the Oaks was in hospital in Scotland with a wounded leg and Lieutenant Percy Brass DCM of Victoria House was suffering from a wound in the shoulder. 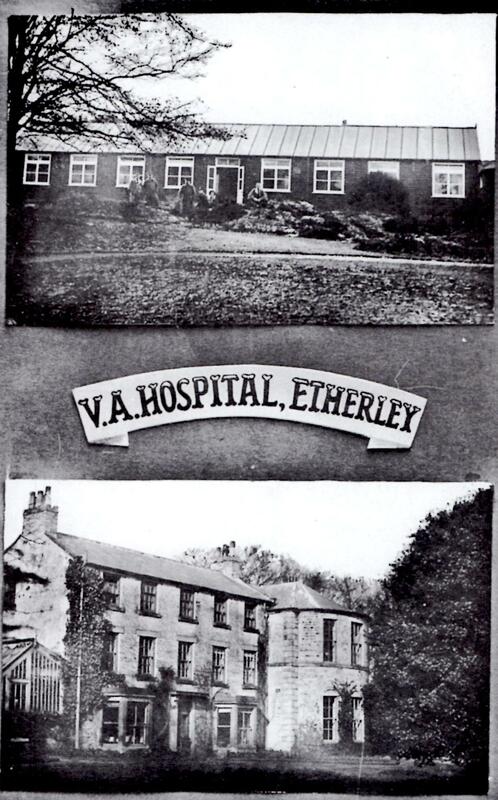 He had the good fortune to end up home as an out-patient of Etherley Hospital. During July, to honour the increasing number of dead, memorial services were held in the parish church on Sunday afternoon and the Wesleyan Church at night. Both were overflowing. In October, the first military funeral took place in Evenwood, when the remains of Robert Wilson, son of Moses Wilson and a private in the 6th Yorks, were laid to rest. He died of wounds received at one of the battle fronts. The service was conducted in the Wesleyan Chapel. A memorial service was also held for Edgar Towers, a sergeant in the DLI who had been posted missing for over a year and was now officially presumed to have fallen at the Battle of Loos on September 25th 1915. It was attended by the Evenwood Silver Band helped by West Auckland Band and the Boy Scouts. The war made itself felt too by the visible and growing number of wounded men. 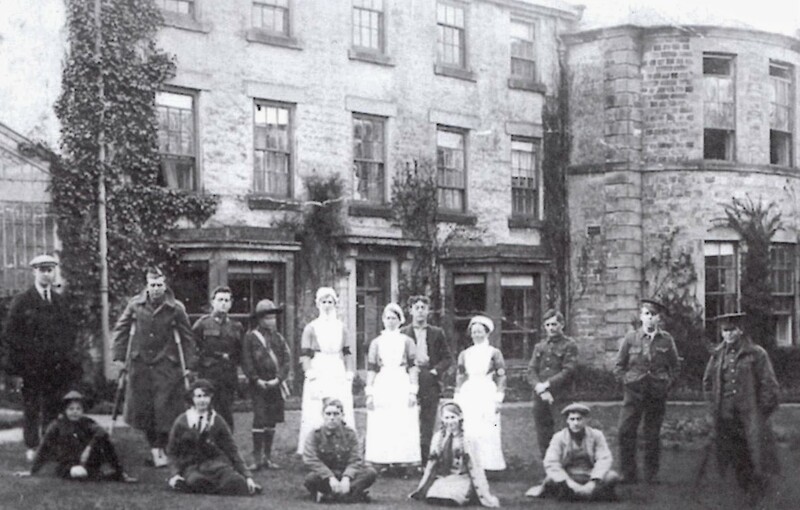 Wounded soldiers at Etherley Hospital were entertained to tea in July by the Evenwood Ladies Working Party in the Haddocks’ grounds at Ramshaw House. They provided a tea followed by a concert and games. They were hosts to another such occasion for the wounded in September when the entertainment and tea were organised by the Evenwood Women’s Institute. There was music, tea and typically for the time, cigarettes in abundance. A social problem caused by mass enlistment was acknowledged by a garden party at the end of July at the Vicarage in aid of the Waifs and Strays Society which, it was claimed was doing splendid work with children – over 1000 belonging to men serving in the colours being carefully maintained and provided for. Tribunals in the urban and the rural districts were now having to deal with the appeals for exemption from military service being made for all manner of compassionate and economic reasons. The tribunals, animated by the general mood of undiscriminating patriotism, were never easy to persuade. A brief period of exemption was given to the steward of Evenwood Club. The President of the Club had said that if he was taken another man would have to be put in and that would mean taking another man from the coal trade. It was suggested that the steward would be willing to work in a mine. He had 6 children and a feeble wife. Farmers of the Evenwood district were said, by the newspaper, to have raised for themselves an unnecessary bogey. Some of them were quite concerned as to what the military authorities might say if, having been exempted until the crops have been gathered in, they should assist other farmers with their work. If they helped one another, they feared they would be thought to have exaggerated the needs of their own farms. They went so far as to ask the Rural Tribunal for an opinion on the matter. The reply was that they should go on with their work as speedily as possible and help one another. The Chairman of the Auckland district tribunal did not think there was any objection to farmers cutting hay for other people. The harvest weather was fine and there was an unusually large number of women assisting. The long spell of dry weather enabled farmers to complete a hay harvest which was considerably above average. During this period, flag-day was celebrated with some gaiety. A procession went from Gordon Lane to the recreation field opposite Randolph Terrace where sports were held. The Evenwood Band and Randolph Colliery Banner led the procession followed by Evenwood and Cockfield Boy Scouts, tableaux, decorated bicycles and comic costumes. A large number of young ladies was engaged in selling flags. Flanders and France however still dominated the experience of most of the local men at war. In October Private John Burney was at home on a few days leave after being in hospital at Leeds with an ankle wound. News came in November that George Featherstone had been seriously wounded; that William Robinson of Copeland Lane had been wounded and that John Maughan a private in the DLI of 9 Clyde Terrace had died in hospital after being grievously wounded on the battle field. Other news was of achievements, of commissions and awards. George Eric Haddock had become a Second Lieutenant in the Royal Flying Corps. Three men had been awarded the Military Medal; Herbert Wardle of the Pioneers, Oliver Rushford, a corporal in the Service Corps and T.H. Britton of the DLI.